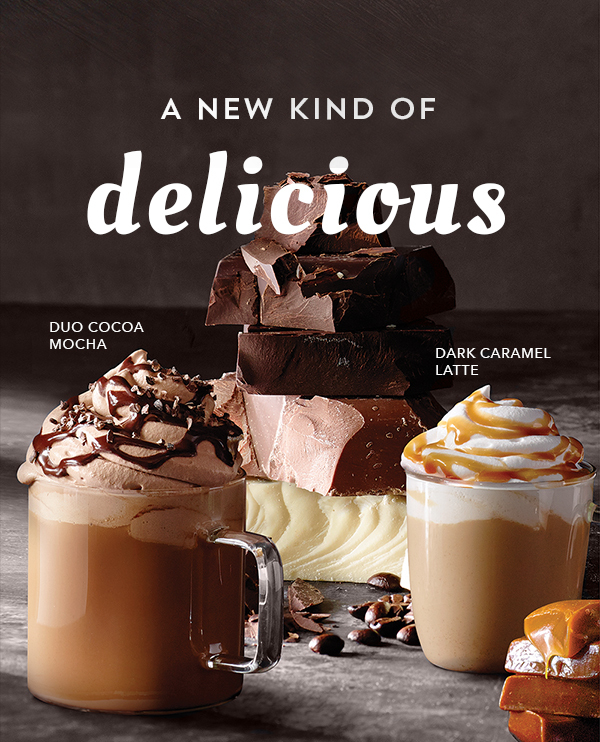 Last week, I received a promotional email from Starbucks, sending me an early access to two of their new beverages, the Duo Cocoa Mocha and Dark Caramel Latte (when you pay with your Starbucks card), from September 12-14, 2015. 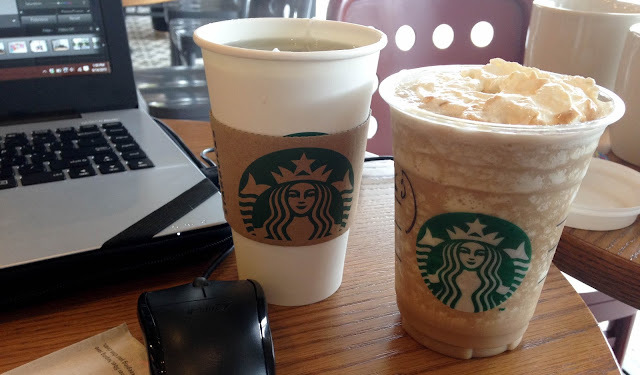 Being a regular at Starbucks, I did not miss the chance to be one of the first ones to try them. The Duo Cocoa Mocha. I was asked if I wanted it served hot, on ice, or as a frappe. I chose the frappe with coffee as my base. Upon serving, I was not disappointed because it really looked indulging. The whipped cream was chocolate flavored, topped with chocolate drizzle and chocolate bits. The drink itself, being coffee based, only had a subtle touch of mocha and had more of the coffee frappe. 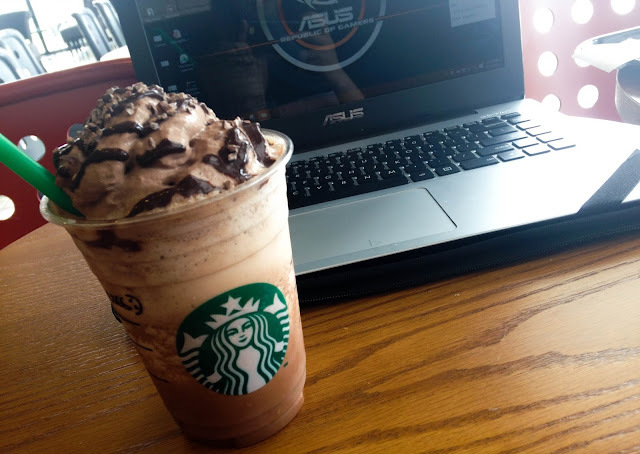 I loved how it tasted all-in-all, though I also hope that the chocolate whipped cream could also be part of their DIY beverages, since I always order a DIY drink (I have my own recipe, whenever I go to SB). The Dark Caramel Latte (Right). I have to apologize that the whipped cream was eaten already before I could take a picture. Lol. The dark caramel latte tasted just like those caramel cakes, turned-into-frappe. It tasted sweet and creamy with a thick whipped cream base. You could tell just by looking at the cup. The sweetness is indulging, and I would recommend it for those who have a sweet tooth or those looking for a sugar rush. Though I would say that this is not for those who are health conscious, the calories on this drink is just too high.